Eating out is now as much part of the nation’s leisure pursuits as going down the pub was years before. Pomp, stiffness and elitism are relegated to the past as dining out opens up to all ages and pockets by a wave of novel new concepts providing rich alternatives to traditional formats. Step-up the audacious new breed of less formal, more socially inspired surrounds. Gone are the table clothes, the separate seating, the deferential service, and the intimate settings. In is the relaxed hospitality, the no-waiter service, the restricted menu offering, the social mixing and the bar side dining. Kitchen Table at Bubbledogs – 1 Michelin star – Former head chef at Marcus Wareing at The Berkeley, James Knappett, hosts an ‘exhilarating’ experience literally at the heart of the kitchen at Michelin star Bubbledogs serving upmarket hotdogs and a wide variety of champagnes, but the fine dining experience is discreetly tucked away at the back at the Kitchen Table, seating 19 for Michelin star kitchen theatre. How did this phenomenon happen? It’s easy to see when you trace back, starting from the days of pubs being taken over by chefs for their attractive low rents to gastro-pubs. Step forward to the media revolution and younger chefs striking out to make a name for themselves after doing stints as head chefs within more established ‘celebratory’ chef restaurant empires. Prohibitive retail rents may have thwarted once but access to crowdfunding has let in a vibrant and creative second-tier of restaurants. 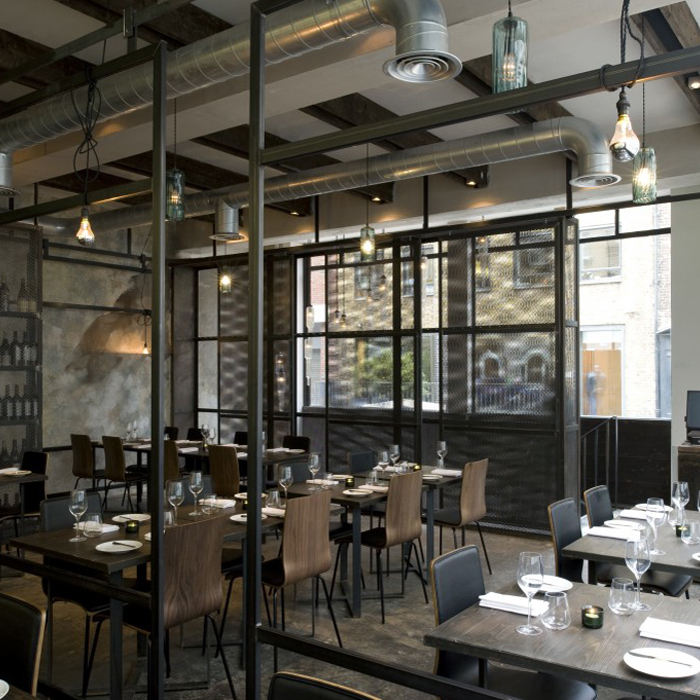 Here the food is the draw, the cost-exposure and the permanency reduced, many starting as pop ups to test the market as illustrated by The Clove Club, currently No 1 on The Sunday Times Top 100 restaurants which itself started as a supper club above a pub. ‘Too much of a good thing’ is not an expression that can be applied to UK dining scene and there is room for all aspects of fine dining, albeit deconstructed fine dining. From quality simple foods in lavish brasseries, lavish foods in simple spaces, or full on exquisite luxury experiences – what makes diners tick is evolving all the time and the entrepreneurial spirit of British chefs is fully embracing it. The Luxury Restaurant Guide is the best way to discover and book the finest restaurants in the UK. Let us inspire your booking choices with our comprehensive and visual list of all award-winning restaurants from Michelin, AA and Sunday Times Top 100 to the best new openings.